Learn how to use Acrobat 9 to easily convert a web page to a PDF file that contains only the information you need. Capturing web pages has always been a challenge. Often, you end up with missing information, too many ads, or more pages than you need. With Acrobat 9, it's simple to convert a web page to a PDF file that contains only the information you need. And you don't even have to leave your browser. Ready to learn how? Then read on. 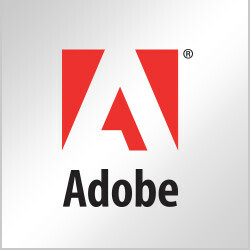 Browser-based PDF file conversion using Adobe Acrobat 9. When you install Acrobat 9 for Windows®, the Adobe PDF Toolbar is automatically installed in Internet Explorer. To get started using it, simply follow the steps below. Step 1: Click the Convert button in the PDF Toolbar in Internet Explorer, and select Convert Web Page to PDF. It's that simple. Step 2: To add additional web pages to your existing PDF document, select Add Web Page to Existing PDF. Step 3: If you would like to select only a portion of a web page—to avoid converting ads, for exampleclick the Select Object button in the PDF Toolbar, then click to select the items on the page you would like to convert. When you've finished your selection, right-click on the page to Convert to PDF or Add to Existing PDF.